ACF-Brill... C-31, C-36, and C-44. Leyland... Royal Tigers chassis with Saunders-Roe bodies. These were the bulk and workhorse of the fleet and had manual transmission! As well as two Leyland left hand drive double deckers. Pawley was of the belief that these Leylands were more economical than the American built buses and therefore he ordered one, identical to the Cuban order, for his Miami Transit Company as a demo. 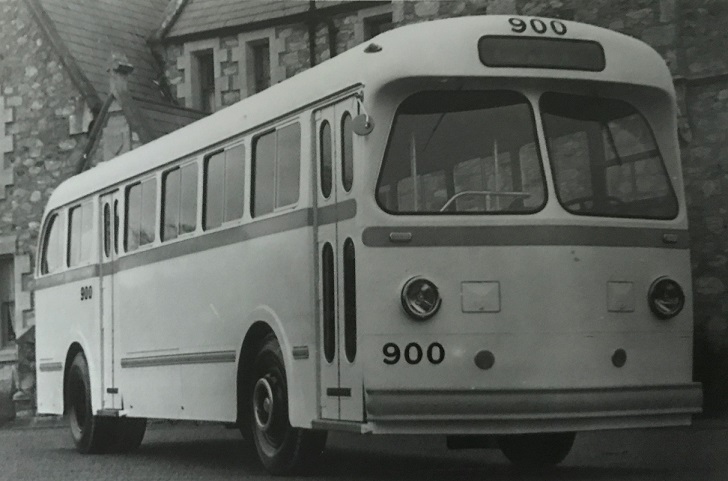 It was numbered 900 and painted white with orange belt and bumpers. The fate of this bus is unkown. This bus in particular could have been one of the four demos built for Cuba.